The Italian media is expecting departures at Chelsea once Maurizio Sarri takes charge of the club. It’s newspaper Tuttosport who has a story about Chelsea’s ‘chaos’ today, saying there are ten players who are training at Cobham but shouldn’t stay for long. Most of these transfers will obviously be the manager’s personal decisions, but the outlet points out a few moves which should happen once some signings are confirmed. 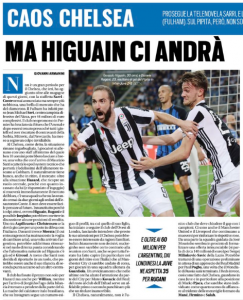 Tuttosport claims that Jorginho, Daniele Rugani and Gonzalo Higuain are three likely signings for the Blues this summer, and the Chelsea players who play in their roles could be at risk. 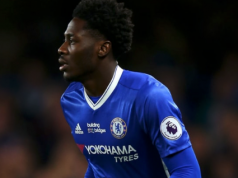 Just because of the defender’s arrival, for example, that could mean that either Cesar Azpilicueta or Andreas Christensen should lose the place in the team. In Higuain’s case, that should mean problems for Alvaro Morata and Olivier Giroud. Even though the Spaniard could still be used in a front three, the Frenchman, who’s expected to start the World Cup final on Sunday, would lose his place as the centre forward. And although Jorginho’s name isn’t related to any direct departure, Tuttosport still points out that the Blues have already put a tag price on both Eden Hazard and Willian. Apart from Morata, and Tuttosport will talk about his wish to leave every time they get a chance, the newspaper doesn’t say much about Juventus having interest in any of these players. But they are convinced that Sarri will have to sort out the Chelsea ‘chaos’.